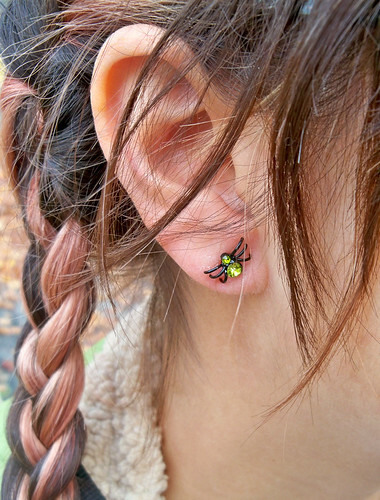 Check out my spider earrings... for Halloween. It was a braid day today btw. Ohh, I love your multi-toned braids! So cute. Are these Pier 1 Earrings? I have the same earings with you!!! Yes, they are from Pier 1!